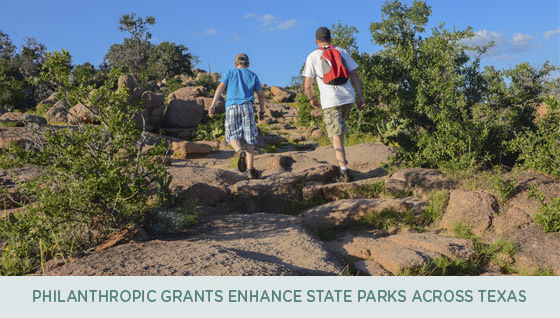 Improving the trail signage at Enchanted Rock State Natural Area is one of many enhancements that will soon be made at 17 state parks across Texas. A competitive grant opportunity made possible by funding from the Meta Alice Keith Bratten Foundation will provide enhanced visitor experiences or improved habitat to benefit wildlife. Texas Parks and Wildlife Foundation (TPWF) matched the funding, providing a total of more than $52,000 for projects across the state. The winning grants will fund efforts ranging from a monarch butterfly project at Brazos Bend State Park, to restoring a Civilian Conservation Corps pavilion at Garner State Park, to a shower for sand removal at Monahans Sandhills State Park. All the projects are aimed at providing a higher quality state park visitor experience. TPWF appreciates the support of Meta Alice Keith Bratten Foundation in providing these enhancements for our parks! 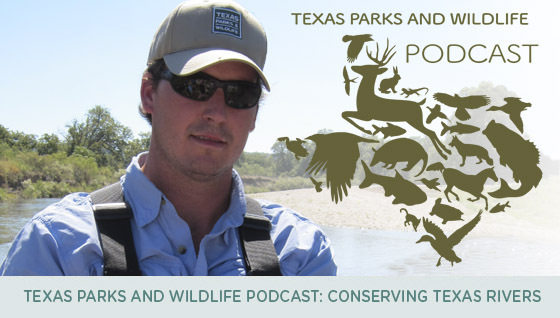 For this month’s podcast, we caught up with Tim Birdsong, chief of the Aquatic Habitat Conservation Branch in the Inland Fisheries Division of Texas Parks and Wildlife Department. Tim is leading an innovative multi-pronged effort to conserve Texas rivers, which involves anglers, paddlers, landowners and others who love our rivers. Find out how this effort is taking care of Texas rivers while opening up more access for anglers and paddlers. 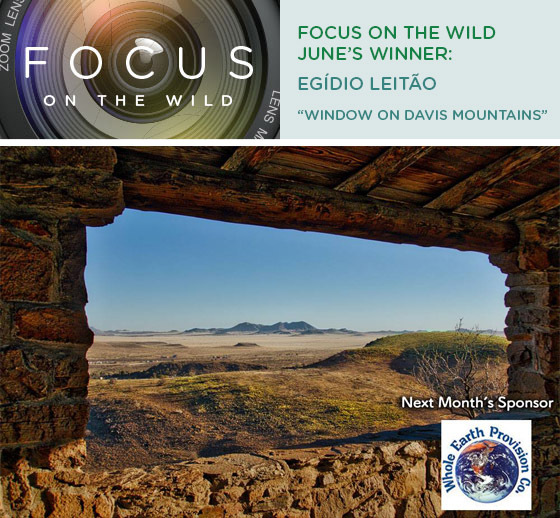 Congratulations to Egídio Leitão for submitting the winning photo for June! Egídio has won for the second time after his photo “Frio River” claimed our prize in February. This month’s photo was taken while the sun was setting at the end of his family’s drive through the Davis Mountains. Egídio says his family “loves the magnificently expansive views in the park.” Thank you to Egídio for sharing the view for the rest of us to enjoy. Special thanks to REI for providing a fabulous prize package for our June winner! The July photo contest theme is Texas summers: keeping cool in the parks. Send us your best shots of cooling off in your favorite state park on a hot summer day. This month’s sponsor is Whole Earth Provision Company. Your photo could win you a new Go-Pro camera and a Yeti Hopper, courtesy of our friends at Whole Earth. To have a chance at winning, be sure your photo fits the theme and is submitted by July 25. Even if you submitted a photo previously, you can still enter this month. Read the contest rules to find out more.